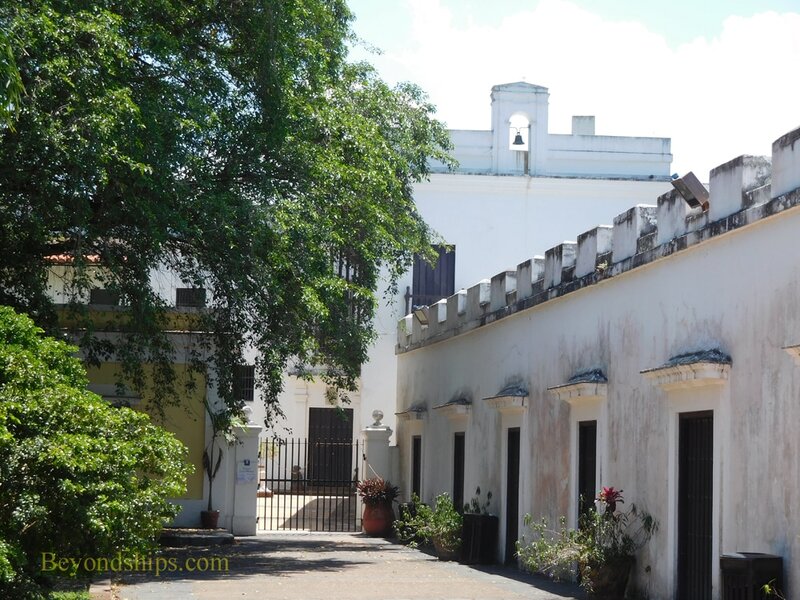 One of the oldest and most beautiful structures in Old San Juan is the Casa Blanca, also known as the Juan Ponce de Leon house. It dates from 1521, overlooks San Juan Bay and is set in an elegant, serene garden. The story of Casa Blanca begins with Juan Ponce de Leon. Descended from an upper class family, Ponce de Leon fought against the Moors in the Reconquest of Spain. When the Moors were defeated, Ponce de Leon decided to see if he could use his military skills in the New World and sailed on Columbus' second voyage to the New World. He found success on the island of Hispaniola, accumulating lands and position. Not satisfied he led a number of expeditions to nearby Puerto Rico, eventually establishing a settlement at Caparra in 1509. There, he built a stronghold and a large house for his family. Capara was not ideally situated. It was difficult to transport goods to the settlement and conditions there were not healthy. After a raid by the Caribs from a neighboring island, the settlers petitioned to move to a more defensible position on San Juan Bay. Ponce de Leon opposed this move but the settlers prevailed. The move began in 1519 and was completed by 1521. To compensate Ponce de Leon, the king of Spain awarded Ponce de Leon the land on which Casa Blanca now stands. Construction of a house of a house on this parcel began in 1521. However, while on an expedition to Florida that year, Ponce de Leon was wounded by a poison arrow and was taken to Cuba where he succumbed to that wound His body was brought back to Puerto Rico and buried in the San Jose Church near Casa Blanca. (It was later moved to the Cathedral of San Juan). Juan Ponce de Leon's titles and property were inherited by his son, Luis Ponce de Leon. However, Luis was underaged and later became a monk. Consequently, Casa Blanca went to Garci Troche, husband of Juan's eldest daughter Juana. The house remained in the family for the next two and a half centuries. The first house on the property was a wooden structure. However, it soon burnt down and was replaced by a 24 square foot adobe cube. Casa Blanca served two purposes First, it was a family residence. Second, because of its walls and its strategic position, it acted as a military stronghold and defensive position. Over the years, the original house was expanded to serve both of these purposes. In 1773, Casa Blanca's role as a family residence ended. The property passed into the care of the Spanish Army. Among other things, it was used as a barracks and as a school for military engineers. When Spain ceded Puerto Rico to the United States in 1898, the property belonging to the Spanish Army fell under the jurisdiction of the United States Army. 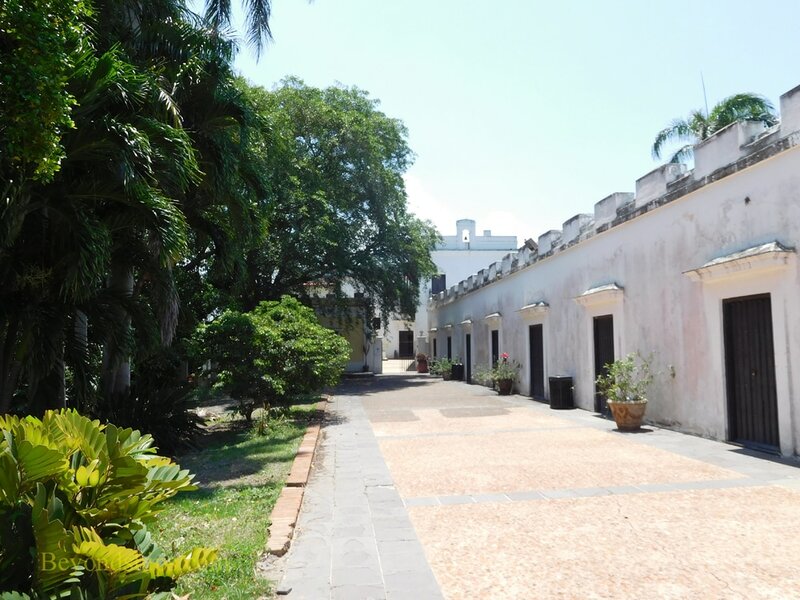 Casa Blanca became the home of the United States military commander for the island. ​In 1967, the United States Army transferred the property to the government of Puerto Rico. 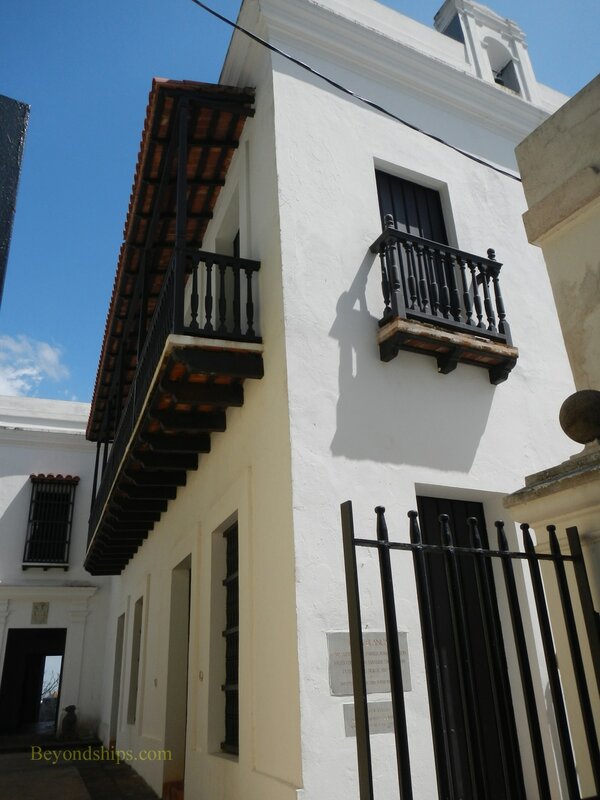 It was declared a historical landmark and put in the care of the Puerto Rico Institute of Culture. Under the direction of Dr. Richard E. Algeria, the 20th century improvements were removed and the property was restored to its previous look. Casa Blanca opened as a museum in 1974. 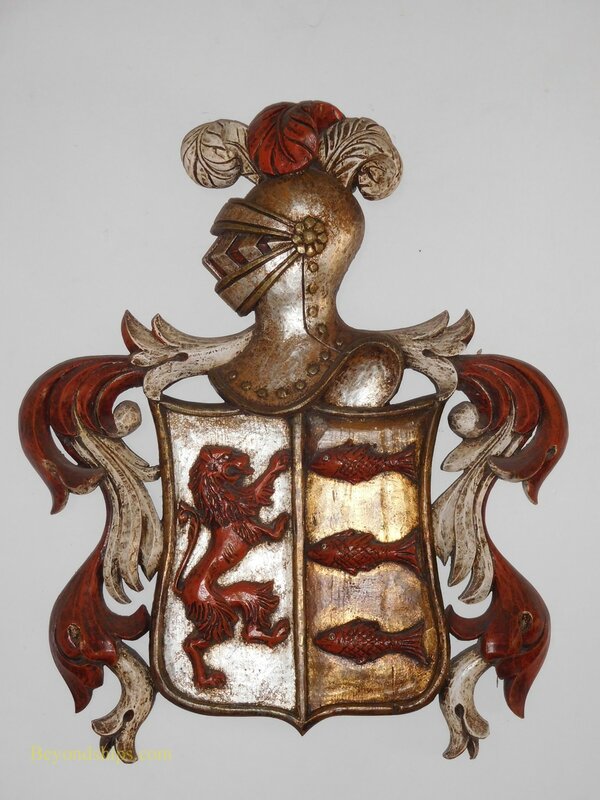 ​Above: The Ponce de Leon coat of arms. Juan Ponce de Leon was the first conquistador to be knighted by the Spanish crown. ​Abve: The grounds of Casa Blana.